I’m about to bite into this big, smooth macaron when— is that an eclair that catches my eye? And thimble-sized raspberry tarts beyond it! With a gelato bar, peanut roaster, truffle counter and more, this is the most extravagant French patisserie I’ve ever seen (and believe me I’ve sampled no small number). But what makes this one far superior to others (besides it’s being entirely free!) is that it is part of the set of the Chanel Metiers D’art show in Rome! 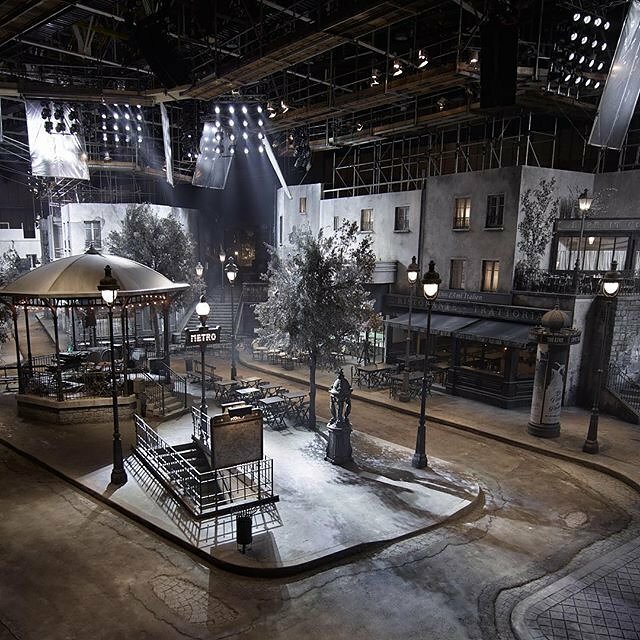 Yes, you heard that right— this is a faux patisserie, in a faux Parisian neighborhood inside the Cinecittà film studios. And yes, it’s in ITALY. Makes complete sense, right? Naturally— because what else does one do when in Rome with Karl Lagerfeld but be quintessentially, bourgeoisly, CHANELiciously Parisienne? Sampling Macarons in the set-turned-patisserie afterward. It is early December and I have been stationed here in Rome for the past two days— my first visit to this beautiful city, and luckily I’ve had time to explore a good deal between fittings and makeup tests (my favorite Roman site? The Trevi Fountain, into which tourists toss an estimated 3,000 euros each day! The coins are regularly harvested to feed the homeless of the city, I hear). Most of the Chanel staff and the entirety of it’s model covey descended Wednesday evening on the antique Hotel Intercontinental, where a makeshift atelier was erected in the spare dining room, sheltered from neophytic eyes by drapes on the doors and windows. Living, eating, and sleeping every day among the Chanel population was like a brief sojourn at summer camp— just a tad more decadent: no moldy bunks and refried beans here! 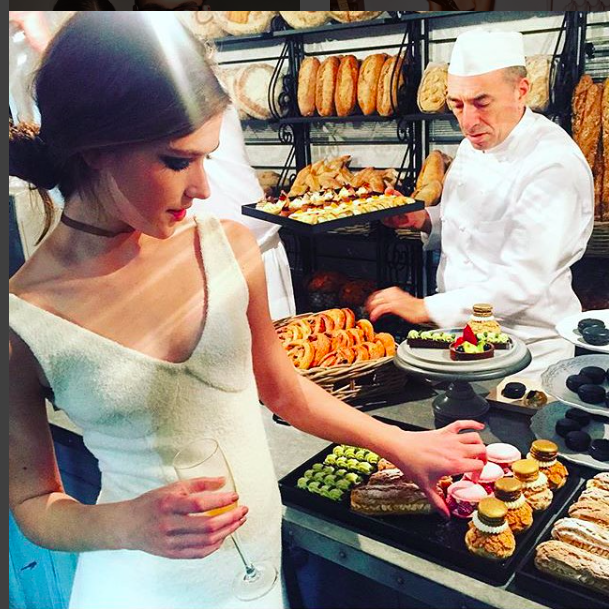 A few moments of agonizing deliberation between the fruity and chocolaty realms of pastrydom settle me with a raspberry tart and and a hazelnut truffle (the best of both worlds, I think), and I set out to see what else Chanel’s afterparty has to offer. The set of the runway, a contrived street lined with a pizzeria, fromagerie, and produce market, has been brought to life post-show in this interactive culinary soiree, and the high and mighty of the fashion industry now sip cocktails and nibble oysters in the cobbled alley where I just walked the runway. Master Lagerfeld certainly spares no expense where his events are concerned— nor where his collections, either! The Metiers d’Art show was one long (87 looks), muted (most prominently black, grey, and beige) parade of capes, jackets, and evening gowns. All the iconic Chanel silhouettes were present, and as worship-worthy as ever, but this time with a younger, punkier twist: skirt suits were cut of quilted black leather and belts and chokers featured centered metal rings. My look for the evening consisted of an adobe-colored cashmere sweater—evoking the russet walls of Rome— and a long leather skirt that was high-waisted and quite narrow around the knees. It was simple and elegant (if a bit hard to walk in: the catwalk required me to climb two sets of stairs and my stride was constricted to a granny hobble). 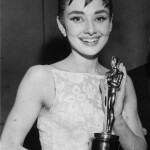 Hobble notwithstanding, though, I felt undeniably magnificent as I took my place in the lineup before the show sporting dark, smoky makeup and a bouffant— “seductress hair,” one hairstylist called it as she back-combed my tresses. Given the circumstances, how could I not? Magnificent…and a wee bit anxious. The waiting, however, soon came to an end. The chic editors outside took their seats along the sidewalks of the set, the various production assistants assumed their posts with headsets ready, and at last the band began to play. Literally— there was a live jazz band installed in the gazebo on set, and as the first agile keyboard notes broke over the movie warehouse, the first agile— and not so agile, cough— models climbed one by one from a pretend Parisian metro station (line 2, stop “Rome”) and began casually to saunter through the streets; mysterious, elegant, watched. And the rest is history: a beautiful show, an extravagant afterparty, and plenty of champagne to go around! Wandering through this crowd of familiar and unfamiliar faces hailing from all corners of the world, with raspberry tart in hand and Chanel bouffant on my head, I’m thinking this is the sort of otherworldly experience that I’m not likely to encounter again— or to forget. I’m thinking of the Trevi fountain, and how beauty, whether in marble or cashmere, has a way of linking unlikely characters together; bridging cultures and centuries through the veneration of art. I’m thinking that this Chanel show, like the Trevi, is a gift that keeps on giving…at least for another hour. As the Trevi roars on in the heart of Rome, this fashion fantasy will end and the splendor will be folded away for next time, leaving me only the privilege of its indelible memory. But while still it stands, dazzling and surreally real, that faux pizzeria is really smelling too good to resist… Dinner, anyone? It’s on Chanel. 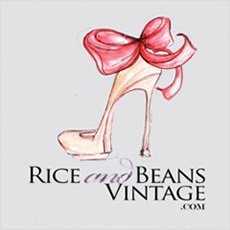 written by Zuzu Tadeushuk for Rice and Beans Vintage. Thank you Zuzu! Zuzu Tadeushuk is a model, writer & artist with FORD Models New York & Paris. She is currently taking a gap year after high school to pursue her exploding modeling career. Visit her blog Mind The Gap to learn more! 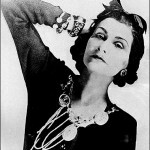 What is Coco Chanel Known for?